With Brownie’s Kayak Diving Hose Kits you can leave your tank topside and move about freely and effortlessly as the hose glides behind you - out of sight and out of mind. So many different applications and configurations make our Hoses and Kayak Diving Hose Kits a MUST! Our proprietary Quick Release Swivel (QRS) fittings greatly reduce hose kinks while diving and also make it a snap to add or subtract hose sections. 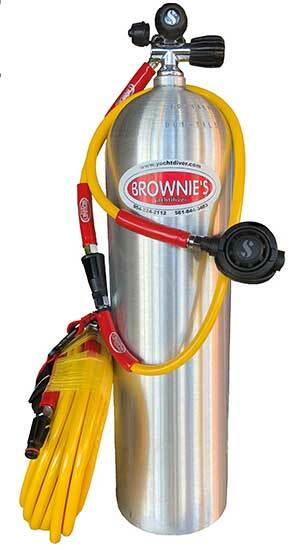 Each Brownie’s Kayak Hose Kit includes 3 sections of hose and a tow belt! Main hose lengths are available in 20, 40, 60, 100, and 150 feet. The kit replaces the hose on your scuba regulator. 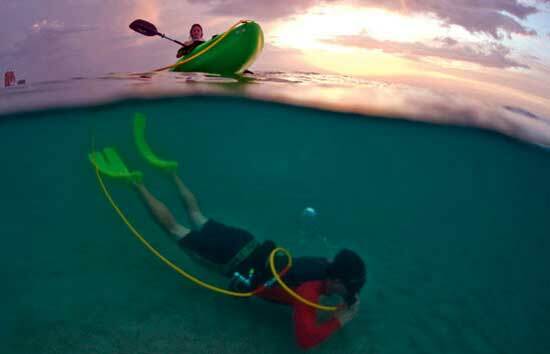 Want to do some conventional diving on scuba? There’s no need to unscrew the kit from your first and second stages; simply remove the main hose length. Utilize your longest hose as your common down line, insert the Y-Divider, attach your two 20’ diver hoses, and share your tank with another diver. The whole operation takes less than 10 seconds. 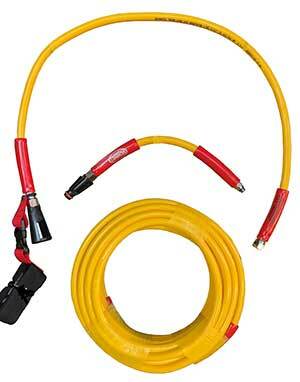 Additional hose lengths available in 20, 40, 60, 100, 150 ft.
*Prices shown do not include regulators. 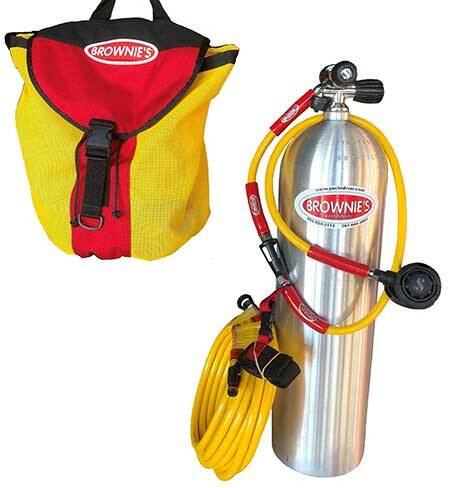 Contact Us for more Brownie's Kayak Diving Hose Kits information.